Ever tried a unique flavor combination just for fun? 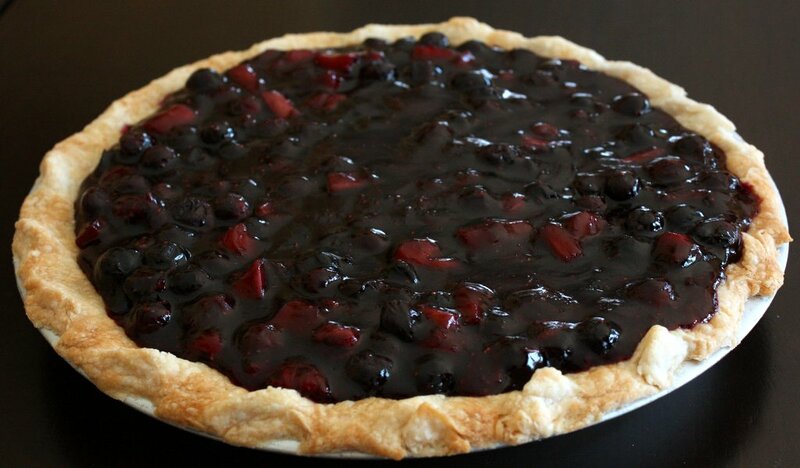 Blueberry rhubarb pie came of such a whimsical effort! 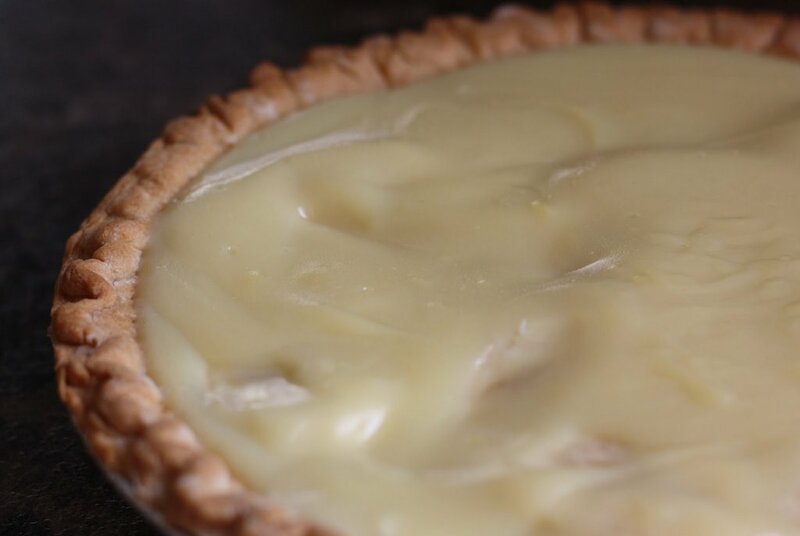 We’re growing rhubarb in the middle section of our tiered garden beds and wanted to make a fruit pie that could handle the tartness of rhubarb. This is a great way to use a bounty of rhubarb! Since this rhubarb came from our very own garden, take a listen to “Royal Garden Blues” performed by Duke Ellington and His Orchestra. Lay three thicknesses of paper towel on a clean shelf. Wash and dice rhubarb. Set on paper towels to drain. In a large sauce pan, combine cornstarch, sugar, and salt. Add lemon juice, vanilla, cranberry juice, and orange zest. Stir. Over medium heat stir mixture while bringing it to a boil. Turn heat to low. Continue stirring while mixture thickens. Add frozen blueberries. Continue to stir for 2-4 minutes while filling thickens. Pour into prepared pie crust. Chill for 2 hours.